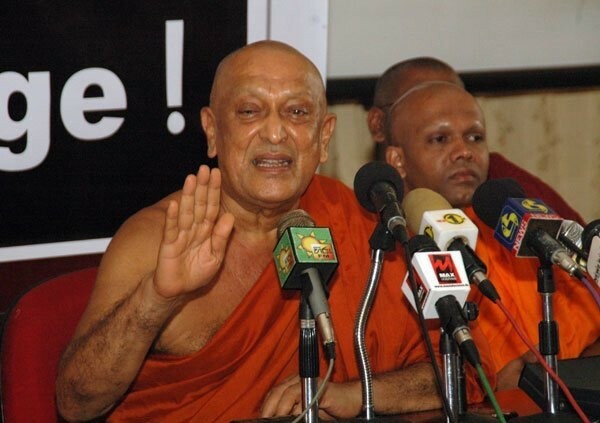 One of the greatest Buddhist monks of Sri Lanka most Ven.Maduluwawe Sobitha who spoke fearlessly to overthrow the previous Government to usher in better political order has passed away. The entire nation mourns the loss of this great human being. He was a leader who spoke for a better political culture. In his speech at the book launch of the author’s Towards a better world order” few months ago, a clear statement was made politics in Sri Lanka is a direct ticket to hell”. Change that was expected by Ven.Sobitha was not fulfilled and his disappointment was clear from his speech. I have my highest respect and gratitude for Ven.Sobitha Thero for his role in making our society a better place. I hope his dream could be fulfilled by the present and future politicians of our country. The first serious shock comes to the new Government as the Minister of Law and Order Hon. Thilak Marapana resigned from his post over an issue about Avant Garde a floating armoury. While political stability should remain priority, looking at the present state of the economy, we should spend work toward the economic vision indicated by Prime Minister at his economic policy statement. Political turmoil and protests in South Asia are now rife. The Maldives is declaring a state of emergency as of a few days ago. The Nepalese people of the plains bordering India called Madhesis take to the streets and in Colombo students were beaten by the police. In Nepal, the protest was against the new constitution passed in September which has sparked domestic political turmoil. The denial of citizenship to Madhesis who often marry Indians across the border has turned to violent protest disrupting trade routes from India causing a fuel shortage in Nepal. Some argue that this move presents a deliberate measure from India against the new constitution. This could move Nepal closer to emerging China. Many Madhesis’s are looked on by other Nepalese themselves with suspicion owing to the groups geographic location and socio-cultural ties with India. In Colombo, 39 students from the Higher National Diploma in Engineering (HNDE) were arrested after an intense battle with the police. The student protest was to reinstate their Higher National Diploma to a B.Com degree for recruitment and promotion purposes. As well as few other demands against privatisation of Education, increasing levels of university intake and upgrading existing infrastructure. All these demands could be discussed and peacefully worked out but unfortunately it turned to a violent police attack which took national attention. The opposition and some members supporting the 18th Amendment, when scrapping the National Police Commission, is now requesting the same body to investigate the incident. It was the present Government that re-installed the independent commissions which was scrapped by the previous. It’s important that the Government address the student issues. Unfortunately, the Education Ministry’s portfolio is split across many Ministries and due to this it will be difficult to take policy measures. The university student intake would be increased to 40,000 and this should be increased further with adequate infrastructure. Producing the best competent graduates that could contribute to the economy should be the priority just as the example of Singapore which invested heavily to create world class labour pool back then during the time of Prime Minister Lee Kuan Yew. Investment in education and R&D is essential as a nation and getting the right education policy to introduce a single qualifications authority to certify this is essential. Most students that pass out are not job fit or they don’t have an opportunity as graduates to find work. These challenges have to be addressed by the government as student unrest can lead to serious complications if unheard. Sri Lanka has previously faced two insurrections before as a nation in 71 and 89. The gruesome pictures from the protest were available in all social media. This is a significant negative blow to the country and the administration who promised to introduce good governance. Some comments from media were a re-visit to the past regime. However, authorities have now taken measures to address the issue. Sri Lanka with its new administration needs to fix many areas in the economy, ignored by the previous government. As a nation we are the only South Asian country that has moved to stage 2 which is an efficiency driven economy this year according to Global competitiveness Index this year report. All others are in Stage 1 Factor driven or in transition to stage 2. This shows we have done comparatively well with other South Asian countries to improve the basic factors of the economy. It is time that we start competing with the East Asian economies now as we should aim to achieve a per capita of US$8000 in 2020. For this several wheels of the economy needs to be strengthened. The value added exports needs to be increased from the existing low percentage to a higher value. Sri Lanka should aim to map as a regional financial center such as Singapore and Dubai: to be planned out by Finance Ministry. Improving the University infrastructure and providing space to most number of students to get a world class education is a priority. The recommendations from Chamber, IPS and all top think tanks in the country and outside needs to be carefully looked at and considered. After more than a decade you will finally have high level political representation at Davos 2016 as the Prime Minister has accepted the invitation. This is a great opportunity for him to spell out the new government’s economic policy to win investment and build confidence. 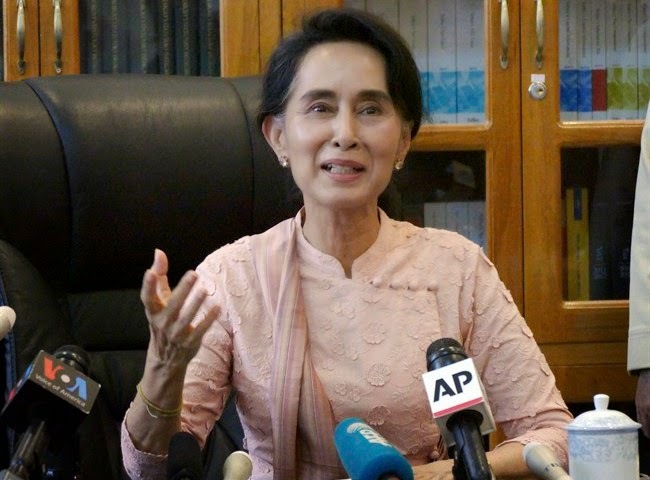 The first top level foreign conference Daw Aung San Suu Kyi attended after being in house arrest was the World Economic Forum in East Asia where she clearly spelled out her political vision for the people of Myanmar. I was honored to meet her in person at this conference where she shared her view and importance of national reconciliation in Sri Lanka after a three decade war. The Myanmar NLD party of Aung San Suu Kyi has won with a landslide victory to end years of undemocratic rule. This will be a great moment for the people of Myanmar to experience fruits of true democracy for the first time with the new Government. When a fearless voice dies, another is elevated to victory; reflecting upon our late great priest Ven.Sobitha Thero and the force of Daw Aung San Suu Kyi. It is their want of change, questioning autocratic leaders inspiring leadership that helps instill good governance in their own societies.